The Gold Kangaroo Half-Grams are Here for 2017! 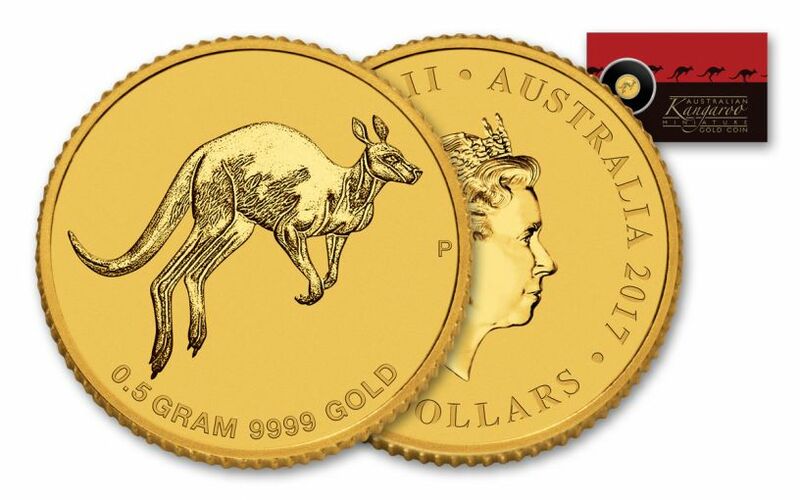 One of the most affordable gold coins in the world, the Australian $2 Gold Kangaroo is now available for 2017! Struck in Brilliant Uncirculated (BU) condition, this coin is the latest in the long-running Australia Gold Kangaroo series from the world-renowned Perth Mint. 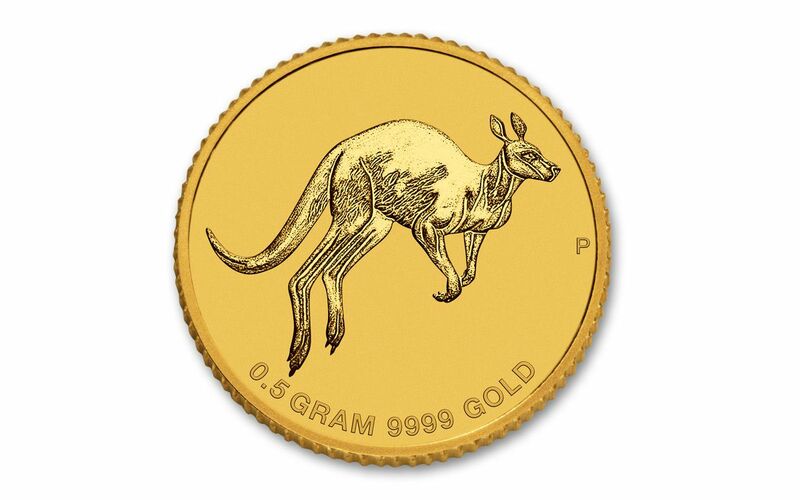 It features a bold leaping kangaroo on the reverse along with the half-gram gold weight and .9999 gold purity struck right into the surface of the coin. 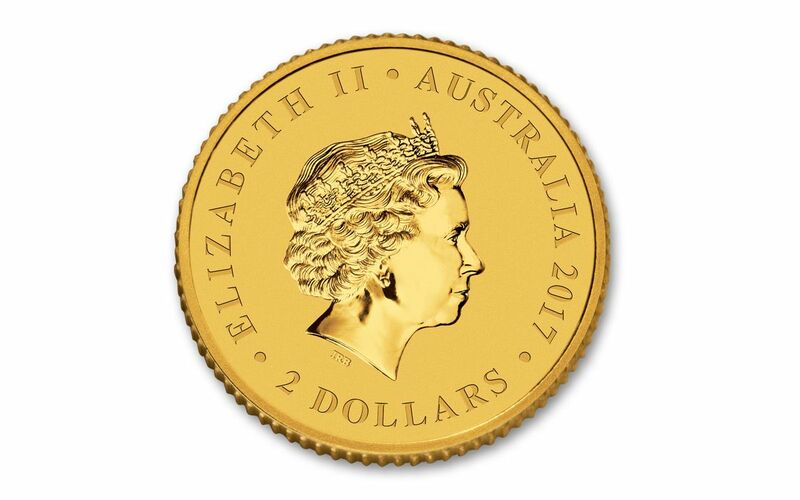 The obverse displays a portrait of Queen Elizabeth II along with the official Australia $2 legal-tender denomination. 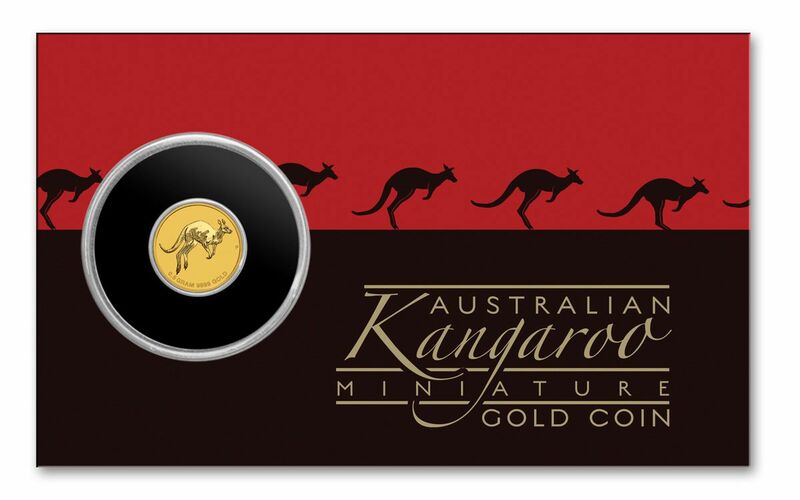 This brilliant Australian $2 Gold Kangaroo will arrive to you in a colorful, Perth Mint-issued acrylic holder and card. Not only is the coin's design exclusive to 2017, this will be the only half-gram gold coin released by the Perth Mint in 2017! And while mintages of these coins are open throughout the year, their final annual production numbers haven't peaked above 16,000 since their introduction in 2010. In fact, only a little over 8,500 of these $2 Australian Gold Kangaroos were minted in 2015! If you're looking for an affordable way to start a gold coin collection, or to jump-start the passion of collecting for a loved one, you've found it! Hop to it and get yours now!